U.S. officials have blessed the acquisition of Smithfield Foods by China's Shuanghui International, the companies announced Friday. The deal is still subject to approval from Smithfield (SFD) shareholders, who are scheduled to vote on it Sept. 24. If approved, it would be the largest acquisition of a U.S. company by a Chinese buyer. 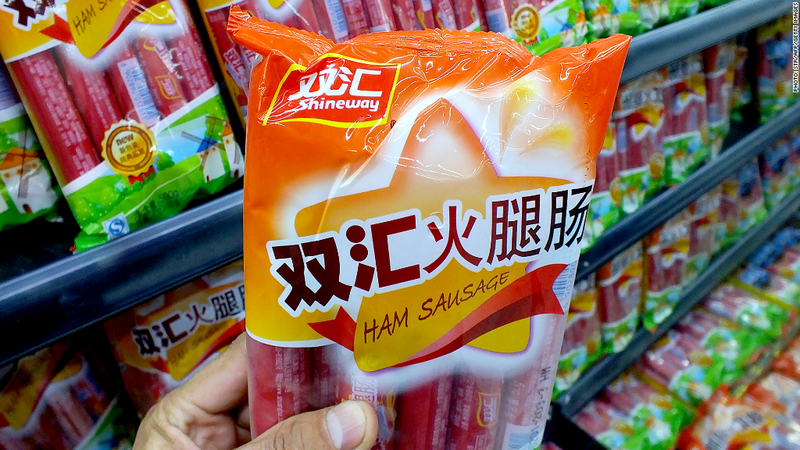 Smithfield, the world's largest pork processor, announced its proposed acquisition by Shuanghui for nearly $5 billion in late May, saying it would open more of the Chinese market to Smithfield products at a time when pork consumption there is growing rapidly. When a foreign entity seeks control of a U.S. company, the deal undergoes a detailed review by a government body called the Committee for Foreign Investment in the United States, or CFIUS, to assess any potential national security impact. "We are pleased that this transaction has been cleared by CFIUS, and we thank the Committee for its careful attention to this review," Smithfield CEO Larry Pope said in a statement Friday. Shuanghui CEO Zhijun Yang said the two firms "have a long and consistent track record of providing customers around the world with high-quality food, and we look forward to moving ahead together as one company." The deal has drawn criticism from some lawmakers and industry groups who have expressed concern about a Chinese company acquiring a major U.S. meat supplier. Under the terms of the agreement, Smithfield would retain its existing brands and operate as a wholly owned subsidiary of Shuanghui.